Embracing the pop culture legacy of Marilyn Monroe in a refreshingly original way, Laurent Morlet‘s fascinating documentary, “With Her,” follows the screen icon’s most dedicated fans – members of the Marilyn Remembered Fan Club. From the club’s president of 30 years, to the most famous Marilyn impersonator, to a serious collector of Marilyn Monroe memorabilia, to a costume designer who moved to the U.S. at age 14 “because of Marilyn,” the Marilyn Remembered Fan Club members make for constantly interesting and even poignant subjects, united in their sincere and excessive adoration of the blonde actress. 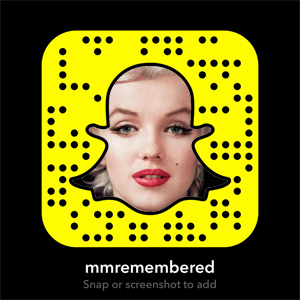 Includes rare footage of Monroe as a teenager, as well as first-time access to the Beverly Hills Hotel’s bungalow A21, where Marilyn supposedly had an affair with “Let’s Make Love” co-star Yves Montand.